I'm so sorry to be dumping so many photographs on you, but honestly, I couldn't decide which ones to leave out! 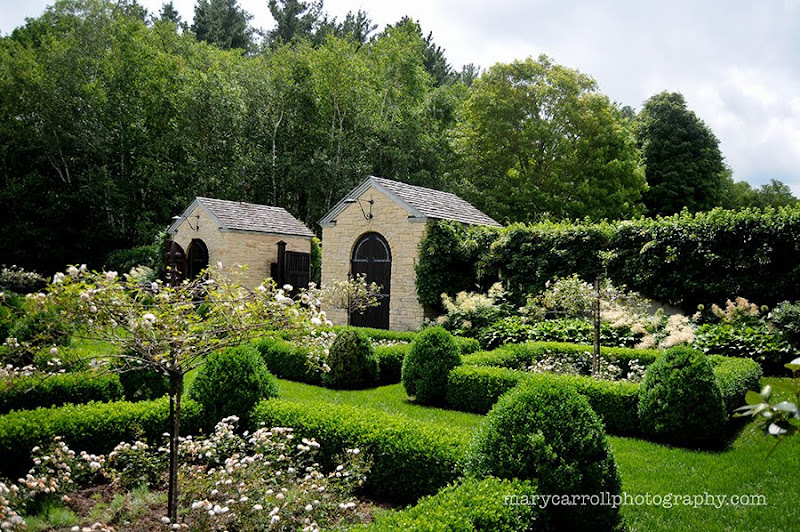 When my husband and I visited Connecticut last month and swooned over saw Bunny Williams' garden, we also visited two other beautiful gardens. The one you see here belongs to Linda Allard, the genius behind the fashion house of Ellen Tracy. 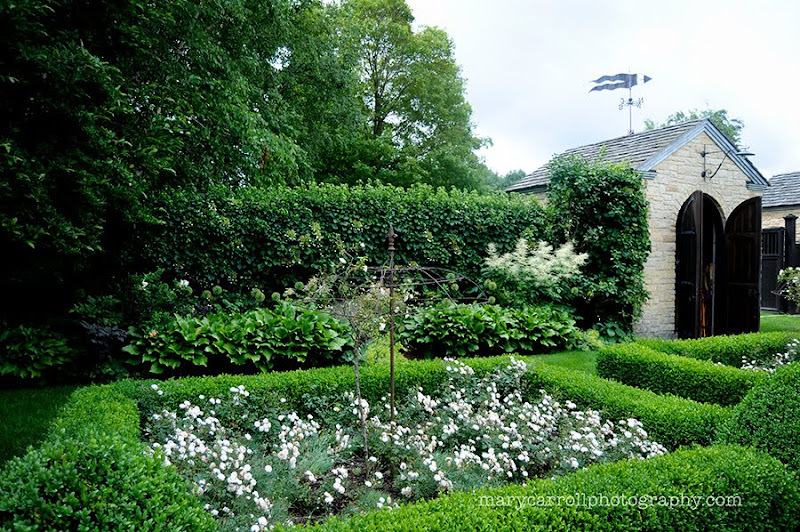 Set on 60 acres of beautiful rolling hills, the main part of the garden is very formal and European in nature, with a strict geometry of box-edged beds. 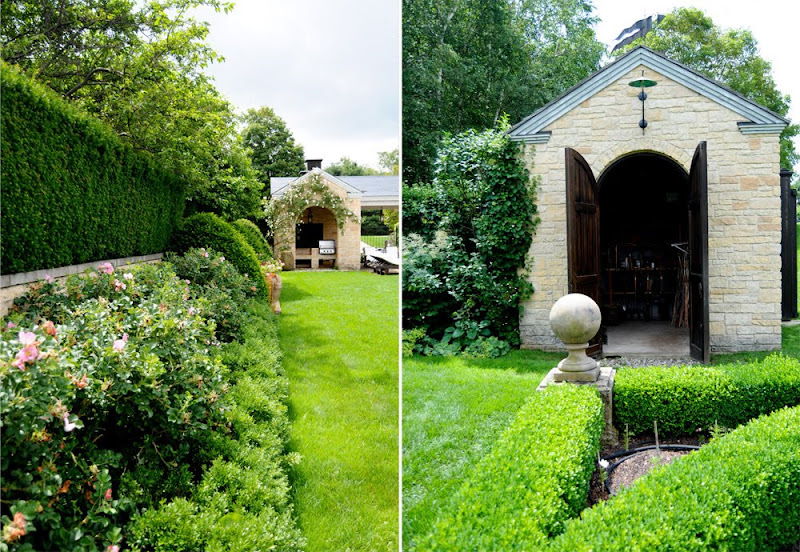 There are standard roses, a pair of rose allees that bisect the garden, and pairs of stone outbuildings that are used as garden sheds and an outdoor kitchen. I actually felt a little uncomfortable taking a picture of the house itself, so all you can see is a corner of it peeping out of one photo. The house itself was designed by Miss Allard's brother, an architect. It is an imposing and large structure, inspired by a Palladian villa. 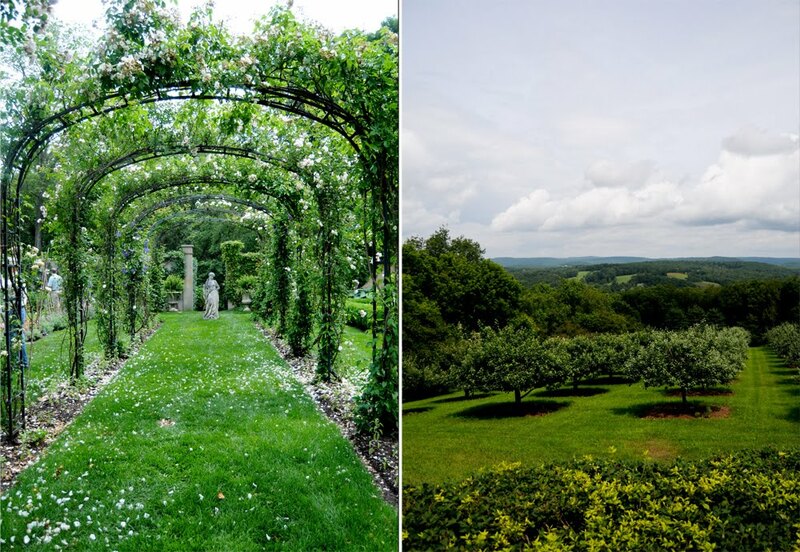 It overlooks a great lawn and an orchard, with views of the Litchfield Hills. There is also a pool, a studio and a shade garden. We actually met Miss Allard in the shade garden, and chatted a few minutes about the depredations that deer can make on a garden. (Yes that's right, we didn't talk clothing design, we talked deer!) Much of her garden is walled, but the shade garden is outside the wall and requires the copious use of deer repellant. Another stunning garden! Your captures are just beautiful, Mary! I love your garden pictures as our garden is looking very sad and tired at the moment due to an unusually cold winter. I am getting lots of ideas too, so thank you! Of course, you talked deer. Did she have any good tips for deer repellent? The Litchfield Hills are beautiful scenery. I can imagine that her home is quite spectacular if the gardens are any indication. 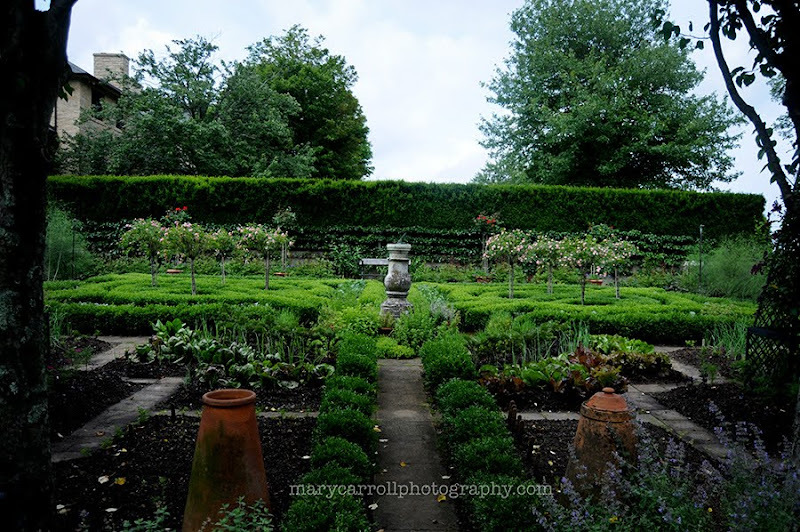 Ms Allard's gardens are as spectacular as Bunny's, Mary! 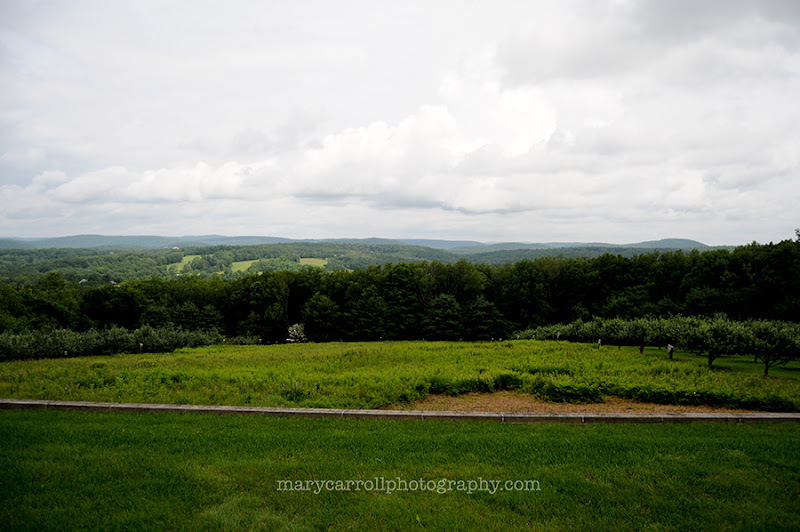 You were so lucky to see so much beauty on your trip to Connecticut. 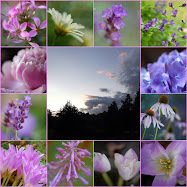 What a beautiful garden, lovely photos Mary! Looks like you had a wonderful trip! I hope you have a great week! Your photographs are beautiful, and never to many. Glorious gardens. Hello Mary! What a beautiful garden! I can't imagine 60 acres of garden and grounds...amazing. Have a great week! What else would gardeners talk about, their gardens of course...and it is a beautiful garden. Thank you for the tour, can't wait to see more. Take care, Jen. I think most of us would never tire of looking at fabulous gardens and feel honoured that you are sharing them with us. Must have been like a piece of Heaven in these lush gardens. Looking forward to more. Mary, this is another gorgeous garden. Lucky you for seeing it in person! I especially love the arbor with the statue. What a fabulous focal point! What fabulous gardens, Mary! I agree with Judith; gardeners never get tired of looking at fabulous gardens and I am happy you shared these. Gorgeous gardens Mary, and your photos are so beautiful. Have a beautiful week!!! I sure appreciate the lovely gardens you share with us Mary. The photo of the orchard and the lovely flowering vines against the wall are my favorites. I love seeing your photos - thanks for sharing them with us. Also, thanks for hosting again this week. a walled garden! how gorgeous! 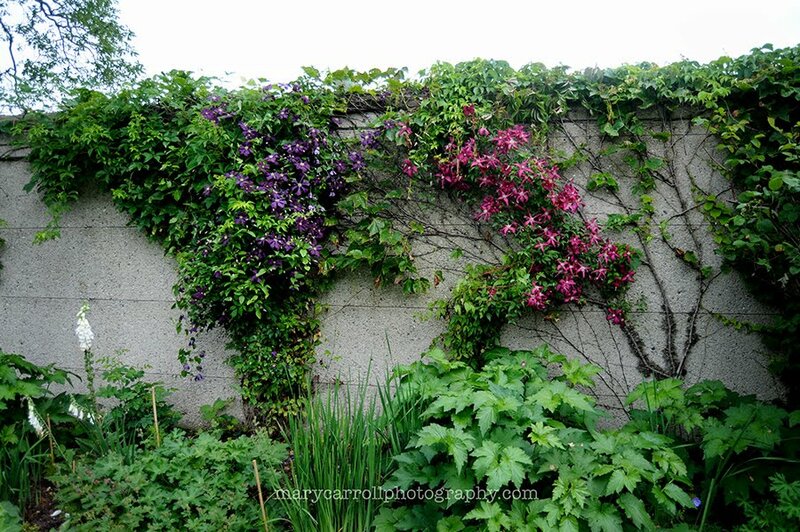 I would love a walled "secret garden" if I had a property. Such a gorgeous garden. Thanks for bringing it to us. And the opportunity to share again in Mosaic Monday. 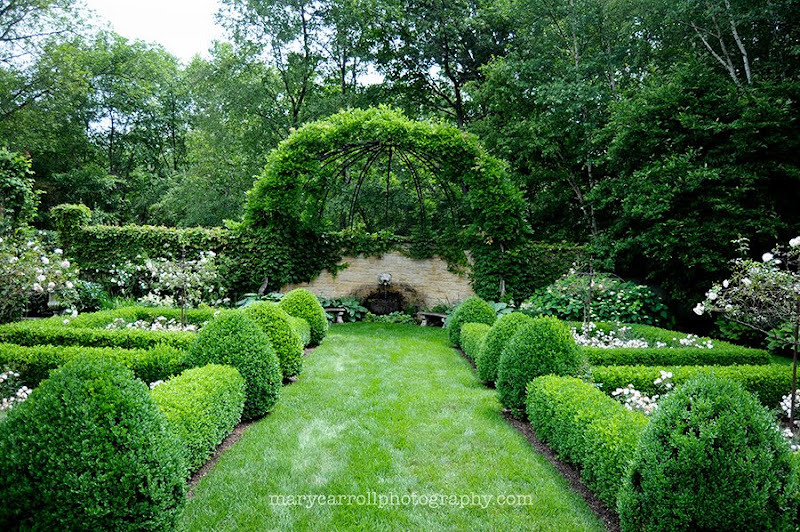 I would never tire of seeing photos of such an amazing garden. It really is a beautiful creation. I want to wallow in the lushness! Beautiful! It's so beautiful. I'm trying to imagine brick tool sheds - luxury! The Allard garden is truly beautiful, so calm and reflective. Many thanks for sharing your photographs of places I'll never get to visit myself. What a beautiful garden Mary. Your photographs are gorgeous. I am linking up to join you this week. Happy Mosaic Monday. Enormous and beautiful garden you are showing us! Dreams for a gardener with a small village garden. Isn't it wonderful to visit all those beautiful gardens Mary? We visited also several when we were in England last month and oh my goodness what a joy it was. Beautiful photos, and what an enchanting place to wander! Mary, You could post pictures like this all year round and I would never grow tired of them. What I find most interesting is how disciplined the gardens are...specific and planned. I love looking at them but know that ours will always be a little wild. What lovely photos, Mary! I think my favorite are the arched trellises with the pretty floral snow scattering the ground. I'm not able to join Mosaic Monday, as I didn't have the time to prepare something special. But I will enjoy the others who have joined today. What a gorgeous property! You do find some tremendous gardens to photograph Mary! On my way to visit the other Mosaic Monday posts. Hope you can stop by The Gardening Life soon. I would feel like I was in another century in a garden like that. How lucky for you to get to enjoy and thanks for sharing. So beautiful...what a wonderful garden tour you had! It is very beautiful garden, your photographs are spectacular. Looks like you had a wonderful trip, I hope you have a great week. Your pictures are stunning as is the garden. I am so looking forward to open gardens here in October when I see all of these amazing gardens that you have been posting Mary! thanks for having us all to the party. Mary what a wonderful place . I would have been in heaven also and taken so many photos. Just gorgeous. Mary your photos are beautiful as always! I love seeing them all! It's been awhile since I've visited and so glad I stopped by. Hope your summer is wonderful! Oh, dump photos on me ANYtime!! They are stunning. I wish I could have gone and stayed.